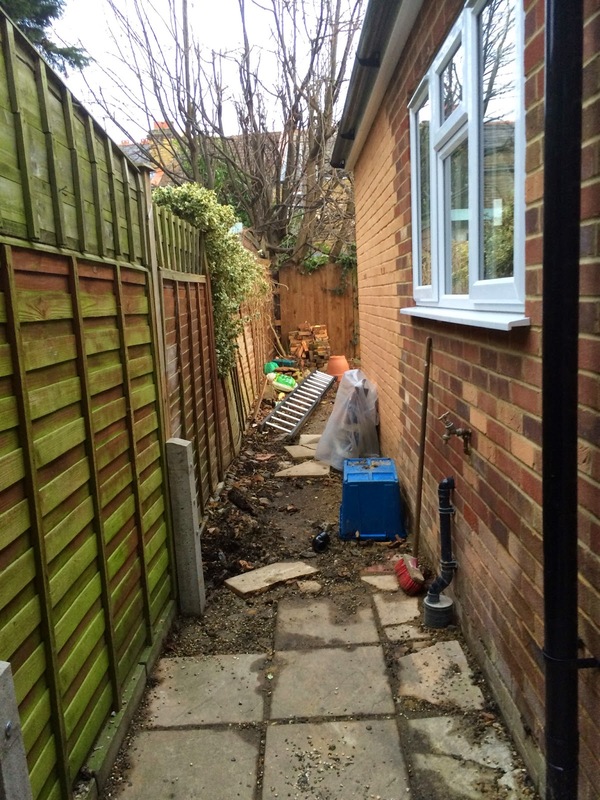 In February this year (2015) a client from Teddington contacted us with a garden design that they wished to be priced up and constructed. After pricing up the original design the client was happy with the proposed pricing and a site visit was arranged. The original plan was for a new patio, brick circular wall with a brick wall to separate the patio from the planting and circular area. Sleepers to be used on three sides to retain the beds and paving was to go round to the side path with space for beds. The house was a terrace house with access through the house and limited parking. In addition to this large trucks would not be able to make deliveries so we had to have everything arrive to our site and then transport to the client's house. 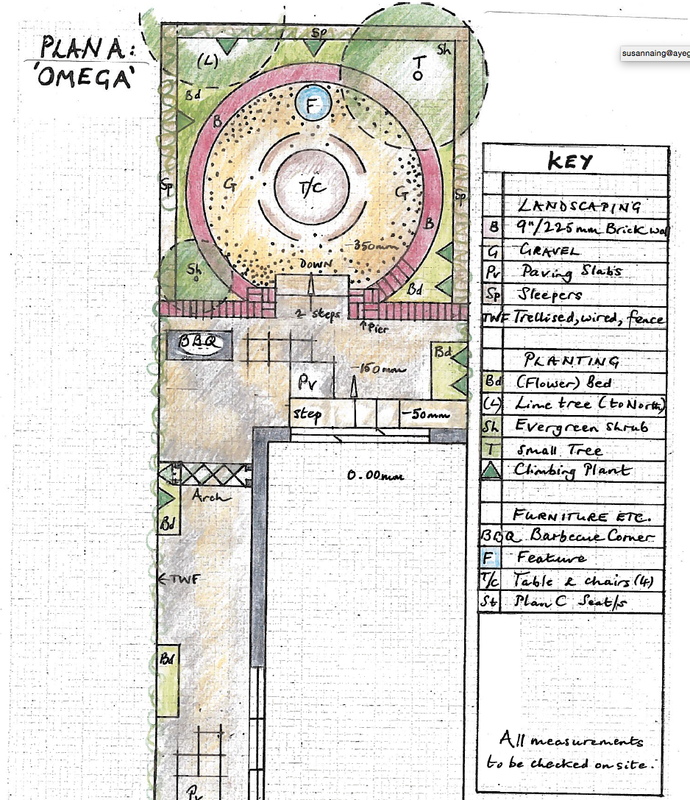 To keep the cost down and minimise soil being disposed of the raised beds were constructed for two purposes, to contain excess soil and for future planting to surround the circular dining area. Once the sleeper beds were installed the rest of the garden was worked on. It was decided that a step wouldn't be needed outside the bifold doors as this would make the paved area too small. So instead the paving was raised up to be flush with the door sill. We replaced one side of fence, but due to neighbour's owning the other sides we couldn't do anything about the other two. In time planting will cover the fences. The client is going to plant out the beds this year so we look forward to seeing photos of the planting when it has established. For a small space the garden has a simple yet effective contemporary landscape design. The step down into the shingle area adds to the interest and once the planting has established will create a peaceful oasis in which to dine with family and friends. The client was thrilled with the landscaping and couldn't wait to enjoy it over the summer. Mint pavers 60x30 with cotswold buff shingle and inset drain cover. The Cotswold buff shingle brightens the garden. Raised beds ready for planting. A view above of the mint sandstone paving. The step down to the circular area adds depth and interest to the garden. The view from inside the shingle circle up the steps to the paving. 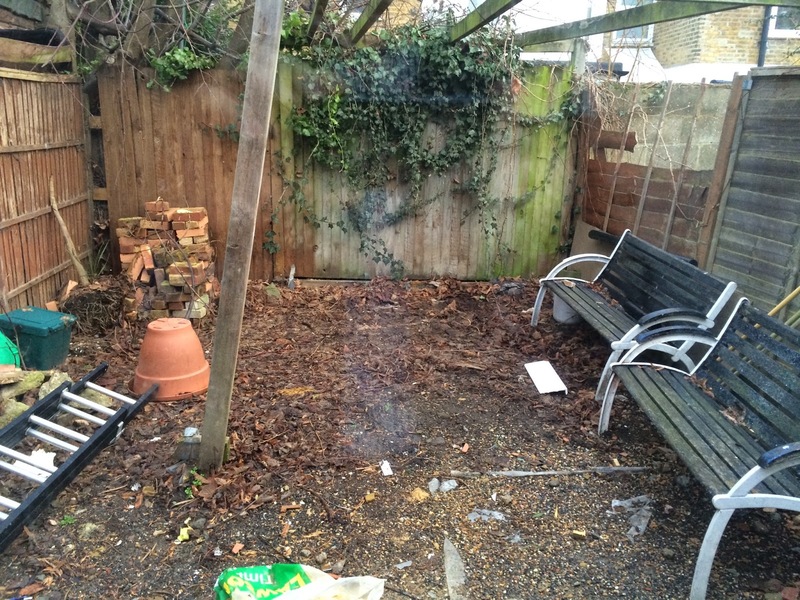 If you are looking to redesign your garden space please do get in touch.